Get the right training to your learners faster. Over the past year, we’ve been busy creating tools to make your day easier, your job simplified, and your training program energized. If you’ve kept up with our blog or checked out the OpenSesame Community, you may already be familiar with OpenSesame Smart Lists and Smart Groups, OpenSesame Curated Lists, our outstanding curation services, or even the OpenSesame Monthly Course Toolkit, a collection of templates and digital assets to help you promote new training to your learners throughout the year. Our goal is to help you create the world’s most admired and productive workforce—all without losing sleep. Find specific courses you need quickly and easily. Our latest release includes a redesigned and enhanced OpenSesame catalog search to help you find elearning courses for your program more easily and efficiently. Harnessing the same dynamic search technology and algorithms used by OpenSesame Smart Lists, the new catalog search is faster, more intuitive, and more powerful than ever. 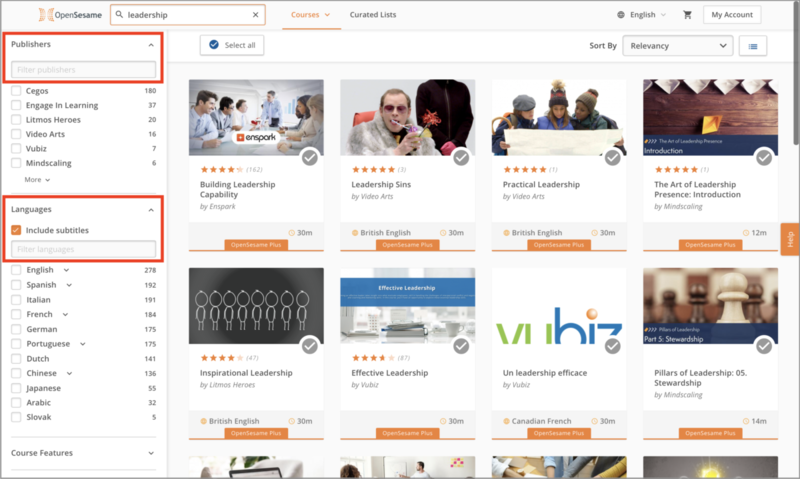 In addition to an elegant new design, enhanced filtering capabilities, and lightning-fast speed, the new catalog search is designed to save L&D professionals like you time in your day. Intuitive typeahead: you’ll receive helpful topic and spelling suggestions as you type in the Search box to accelerate your search. Streamlined language search: you can more easily find courses in various languages—including those with translated subtitles—to meet the needs of your multilingual or global workforce. Easy publisher search: know which publishers your learners prefer? You can now type their name into the search filter to immediately narrow your course selections. Refined certification and accreditation search: quickly find courses relevant to popular certifications or those accredited by recognized organizations for continuing education credits or units. Which tool should you use for your (curation) job? 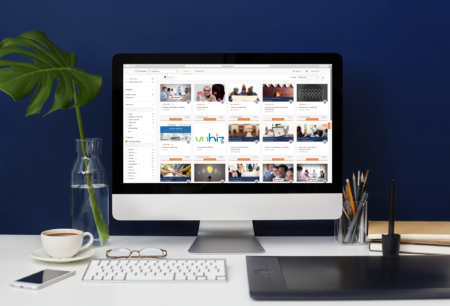 To help you get the most out of our curation tools and services, we’ve put together a quick guide to help you along the way. You’d like to start building a career path for a new topic in your program. You’ve narrowed specific topics and preferences but don’t want to filter through large amounts of search results. You prefer to review limited, curated course recommendations and stay within the course list. You want to evaluate all the options before deciding on a course. You want to regularly introduce your learners to new courses, topics, and styles to increase training engagement. You’d like help marketing training to your learners with pre-made templates, digital assets, and popular topic and course recommendations. For more information on how OpenSesame can help you find the right elearning courses for your training program, contact your Customer Success Manager, our Customer Support team, or call (503) 808-1268. And don’t forget to check out the OpenSesame Community to get answers to your questions, find tips and tricks for your training program, and network with other OpenSesame customers.